"Cassette tape resurgence" — it's a phrase whose very utterance seems to beg several questions: How? Why? And for whom? 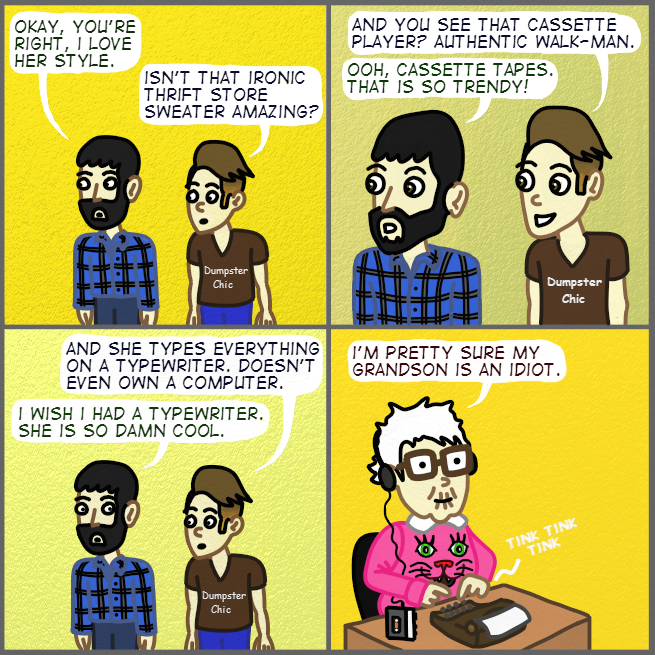 The subject of numerous thinkpieces, hullabaloo, and general derision, the return of the cassette tape seems, at first glance, to be little more than a bad joke about hipsters made manifest in corporeal form. For those old enough to remember when cassette tapes were the de facto standard, there doesn't seem much to celebrate about their return: cueing a particular track involves a good deal of guesswork and repeated mashing of rewind and fast-forward; their artwork (or "J-card," in the vernacular of the cassette otaku) is small and mostly insignificant; and worst of all, every cassette tape player seems prone to occasional bouts of cannibalism, eating the very tapes they were designed to play, enacting a vicious blood price for the mere enjoyment of music. Regardless, after nearly a decade into their return, they don't seem to be going anywhere. Why, you ask? The answer was succinctly stated by our dynastic philandering former president William Jefferson Clinton a full quarter-century ago: "It's the econom[ics,] stupid." Total audio consumption, which Nielsen defines as individual album sales plus TEA, or "track equivalent album" (10 song sales = 1 album sale) and SEA, or "streaming equivalent album" (1,500 streams = 1 album sale) is at 235.5 million units, a +8.9% change over 2016. Streaming — that is to say, music consumption which listeners generally do not pay for — is growing at an enormous rate. On-demand audio streams are clocked at 184.3 billion units, a +62.4% change over 2016. Taking both audio and video streams into account, total on-demand streaming is clocked at 284.7 billion units, a +36.4% change over 2016. Meanwhile, album sales are dropping precipitously. Album and TEA sales were clocked at 112.6 million units, a -19.9% change from 2016. Digital album sales clocked at 35.1 million units, also a -19.9% change from 2016; physical album sales clocked at 46.9 million units, a -17.0% change. To wit: More music is produced, released, and consumed than ever before in history, but fewer and fewer people want to pay for it. And while a new record on vinyl commonly costs between $20–$30 these days, cassettes are still often around the $10-or-under range. Years ago, I conducted an interview with German electronic musician Uwe Schmidt, best known as Atom Heart or Atom™. Active since the late '80s, he has released hundreds of records across three decades, and summed up the present-day conundrum: "Today, you either go full commercial or full underground — there's not really anything in between. In the '90s and most of the '00s, until 2008 or so, there was still a middle ground. You could make underground music on an underground label and still sell 5,000 copies, doing something really weird. That doesn't happen anymore. In the '90s, it was much easier to to make music and make a living." At U.S. cassette duplicator Cryptic Carousel (another random example), producing 500 tapes with J-cards and cases is roughly $1,275 shipped, or $2.55 per unit -- nearly half the cost. Additionally, because pressing vinyl involves a good deal of up-front, preparatory labor before a single record can be pressed, most pressing plants require a minimum order of 500 units, either ignoring smaller orders altogether or assigning them a surcharge, making smaller runs even less cost-effective. Tape duplicators have no such surcharge, making them well-suited to runs of 100 or 200 units — perfect for unconventional, unusual music. And then, of course, there's the long wait time from overburdened record pressing plants. For Atlanta-based record label Geographic North, who release left-field music of all kinds, tapes provide flexibility to promote untested artists. "Initially, we were drawn to tapes as a cost-effective way to experiment in a format other than vinyl," says Bobby Power, one of the label's co-founders. "Tapes let us devote a fraction of the production costs we'd typically need for a vinyl record, which then allowed us to take bigger chances on newer or less well-known artists," he explains. Notably, for Geographic North (and dozens of labels in similar positions), cassette releases aren't treated as lesser productions than vinyl releases simply because they are cheaper to produce. "The artists we work with put everything they have into their music, and we want to put that same level of love and attention into the final product, both in terms of audio quality and packaging," says Power. "We put just as much time into working each and every release, no matter the format." For bicoastal Detroit-Berlin label Jacktone, which primarily releases tapes and focuses on emerging artists, vinyl is a risky proposition. "If you're a small label trying to provide a platform for new artists with each release, releasing on vinyl is a hurdle, and you most likely won't recoup the costs that go into producing the record," say label proprietors Melissa Maristuen and Darren Cutlip. 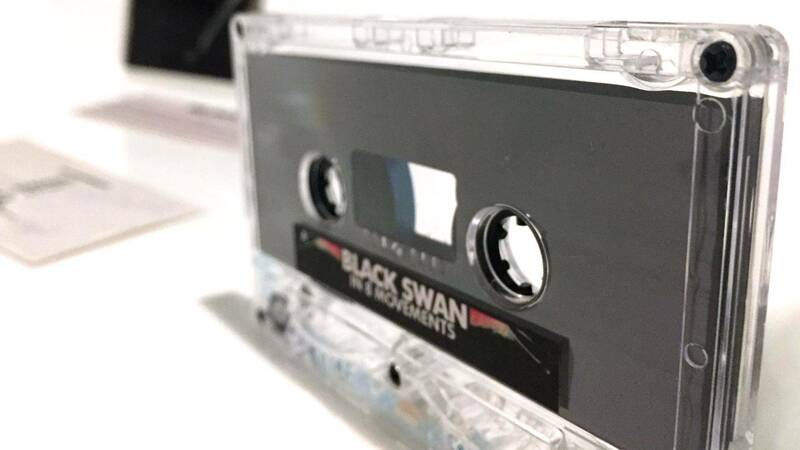 "In many cases, tape releases pay for themselves — the return on investment is much higher with tapes than with vinyl." In the final analysis, tapes simply offer a listening experience that vinyl doesn't (and can't) match — not "better" or "worse," but noticeably different. 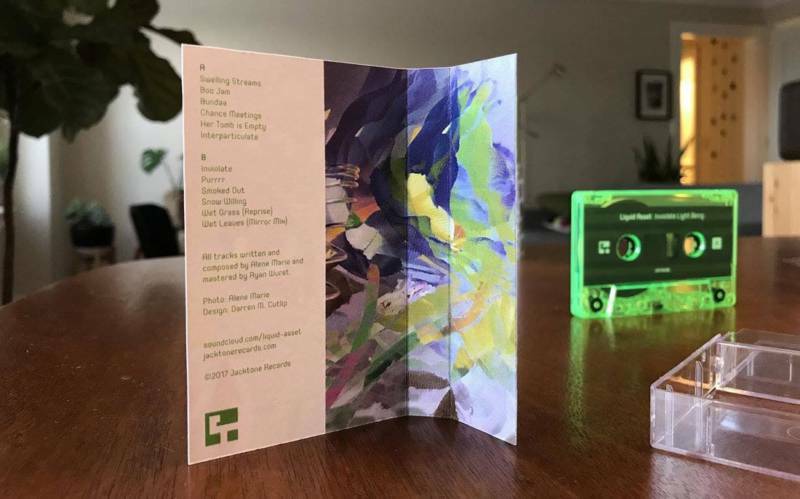 "Because the turnaround time on tapes is so much faster than vinyl, you're hearing an artist's current vision — what their sound is like right now," according to Maristuen and Cutlip. For Bobby Power, "tapes are endlessly fascinating: the portability and durability, the small but scrappy format. They fit in your pocket and can hold 90 minutes of music. And as a consumer, you can drop $5 or $6 on a tape at a show or direct from a label, instead of $15, $20, or $25 for an LP. It's a great way for music to get in the hands of more people." 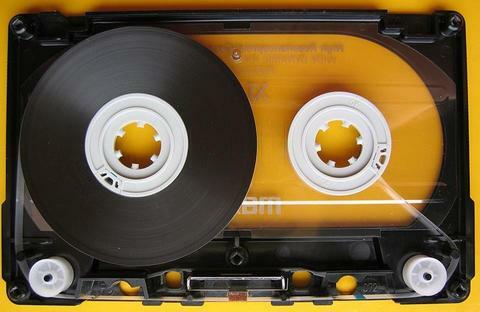 With accessibility like that, don't expect listeners to hit "pause" on cassettes anytime soon. Chris Zaldua is a writer and DJ living in San Francisco. Email him here.